At Epicenter, a Stockholm-based co-working space, employees and renters are eagerly lining up as volunteers to get the microchip implant. 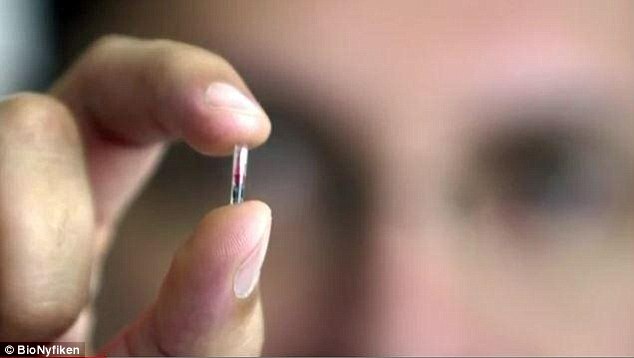 Its not mandatory, but over 150 people at Epicenter are already walking around with the implant — a microchip that’s about the size of a grain of rice. According to co-founder and CEO of Epicenter Patrick Mesterton, it’s all about convenience. The implant acts as a key to open locked doors, a code to operate the printers, or even a credit card to buy foods and smoothies from the snack bar. It’s a modern solution to the problem we all face: carrying too much stuff. I’m all for anything that offers a better solution to the status quo, but I’m not sure this is it. Many modern phones, after all, can use NFC to offer the same level of convenience without the invasive procedure. I’m not convinced a sub-dermal implant offers the same level of flexibility when, chances are, the one item you’re always carrying is your phone. But then again, the chance to create cyborg humans is pretty cool.